The Lunation charts of the 21st March and 5th April 2019 are also not conducive for the Stock and the Financial markets of the Globe , hence the 1st April Monday and the 11th April Thursday may prove to be Turning Points and most malefic for the Global Economy it so seems . Saturn reaching the 90 year cycle from 1929, 10 year cycle from 2007-2008 of Saturn and Jupiter prone to most Venomous combinations for Global Recession. Starting from 23rd March to 14th Jan. 2020 will be a period to be watched as already mentioned in all my Articles mentioned above. 10th house from Lagna has Sun the Lagna Lord who is also the 10th Lord from Moon and is digbali in the 10th house Forming a Rajyoga , aspected by Jupiter , Sun is also a Yogi Planet and hence Rahu and Mercury also become Yogi Planet and Placed in good houses will bestow good and Strong Results . From Moon sign of Scorpio the 9th and the 10th Lord are Moon and Sun and their connection in the 4/10 axis is another yoga and that to at Poornima is excellent yoga involving the 10th house from Lagna . Now In the Present Scenario Donald Trump is Now under the Dasha of Jupiter-Saturn which as per the Jyotish Classics of Nadi is most venomous dasha since Saturn is the Debilitation Lord of Jupiter and Jupiter in his case is also Fallen in the Sign Virgo the 2nd house of the chart and hence allegations regarding Buisness and Wealth Acquired though unfair means. Hence When Jupiter in Transit goes in Retrogression on the 10th April 2019 and falls back in Scorpio on the 23rd April 2019 will prove to be most venomous for him. The Chart is opening the Secret of the Dasha Saturn Placed in the Lagna with Debilitated Moon, Jupiter Fallen Placed in the 8th house of Permanenet loss. The Lagna Lord and Dasha Lords placed with Debilitated Planets and the Dasha Lord Jupiter in the 8th house is not good at all and shows fall of Donald Trump after is Tenure as a President of US, there may be allegations against him as stated above in the Financial Transcations and other issues. Hence the Report of Special Counsel Robert Mueller’s Investigation may prove a bolt from the blue for him and may face legal actions after the completion of his Tenure. The Stock and The Financial markets will there take a Strong Hit it so seems. In this Chart the Jupiter is the Most malefic Planet for Libra Ascendant. Saturn Anter Dasha Lord though placed well is with Mercury the 2nd and the 11th lord of the Natal chart is in Mrityu Bhag. Moon is Placed in the Nakshatra of Ketu and in the Natal Chart also Moon is with Ketu, here Moon in Vish ghati and Ketu in again Mrityu Bhag . Dashamsha Chart of Progression chart Anter dasha Lord Saturn in the 8th house is extremely bad and shows a Permanent loss. Fallen Jupiter in the chart also gives Diseases of the Liver Diabetic Conditions Etc. The closure of Special Counsel Robert Mueller’s investigation into Russia’s role in the 2016 US election does not mark the end of legal worries for President Donald Trump and people close to him. Other ongoing investigations and litigation are focusing on issues including his businesses and financial dealings, personal conduct, charitable foundation and inaugural committee. These investigations, pursued by prosecutors at the federal and state level, could result in charges beyond those brought in Mueller’s investigation or civil liability. 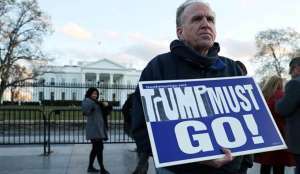 The special counsel on Friday submitted his confidential report on the investigation to US Attorney General William Barr, who must decide on how much of it to make public. Most of the investigations focus on President Trump or his family business or a cadre of his advisers and associates, according to court records and interviews with people briefed on the investigations. They are being conducted by officials from Los Angeles to Brooklyn, with about half of them being run by the United States attorney’s office in Manhattan.